Today is the day: Samsung is expected to unveil a new device at its Samsung Developer's Conference in San Francisco, and all rumors point to it being the Samsung Galaxy X (or the Galaxy F, as other tips suggest), the tech giant’s first foldable phone. 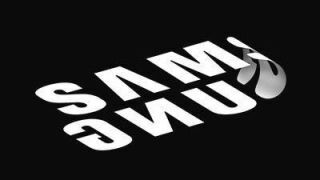 We’re pretty confident about this, especially since Samsung teased the event with folded logos on social media. We aren’t expecting to get hands-on time with the device, which suggests that it’s not far enough along in development. Instead, we may only see detailed images (if anything at all) of the phone, a source told Reuters. Without a product on stage, the conference is expected to focus on how a foldable phone will improve productivity and other functionality, which would surely be of interest to attending developers. Industry leaks have hinted at several likely specs for the foldable Galaxy X: it will (eventually) be available in silver, will have a 7.3-inch display, and will come with 512GB of storage. Assuming it’s revealed today, one source said the phone could be ready by the end of 2018, although reports have claimed the phone won’t go on sale until 2019. Other predictions for the Galaxy X vary widely, like some saying it will be made of three 3.5-inch screens and may come with a Samsung-developed curved battery with a capacity of between 3,000mAh and 6,000mAh. Even if Samsung does reveal a Galaxy X/F today, it won’t be the first foldable phone unveiled to the world – much less land in the media’s hands. The foldable Royole FlexPai appeared last week, with a 7.8-inch AMOLED display when unfolded and top-tier smartphone specs (including the as-yet unannounced Snapdragon 8150 chip), beating both Samsung and LG to the punch. That will have been a blow to Samsung, which has been known to be working on foldable screens since the company unveiled a flexible AMOLED panel at CES 2011. Previous leaks had noted Samsung’s codename for the Galaxy X was 'Valley,' although that was reportedly later changed to 'Winner' – we’ll soon see which, if either, of those rumors are accurate.